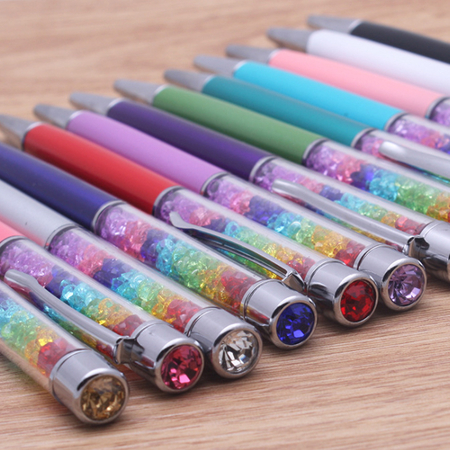 Crystal gift pen, can be selected at the top of rhinestones, metal flat head, and touch-screen functions. With touch-screen head at the top of the touch screen is better than the finger more sensitive, more accurate positioning click. 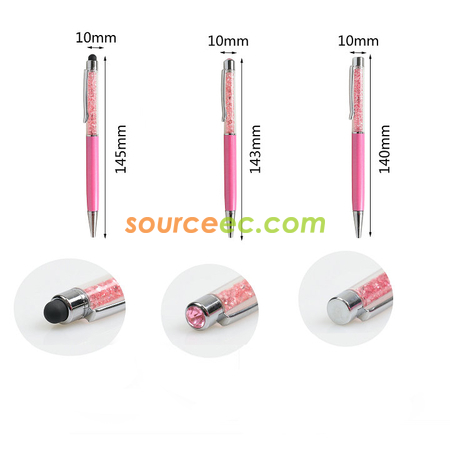 For the iPhone, touch screen mobile phone, and tablet PCs. 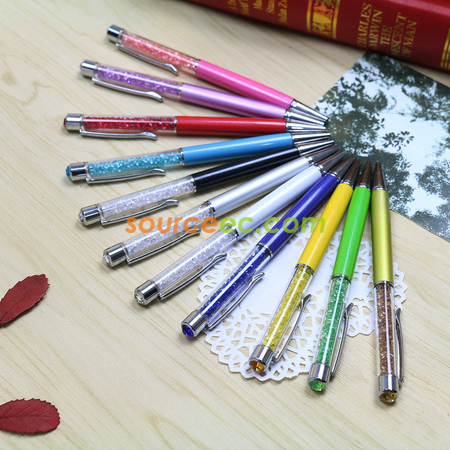 Stylish ballpoint pen, pen inlaid with blinking an eye-catching crystal, emitting a pure and elegant gentle temperament, a variety of colors to choose from, but when the couple pen, pen simple and elegant appearance. The black refill 0.5, blue 0.5 black 0.7 blue 0.7 selectable. 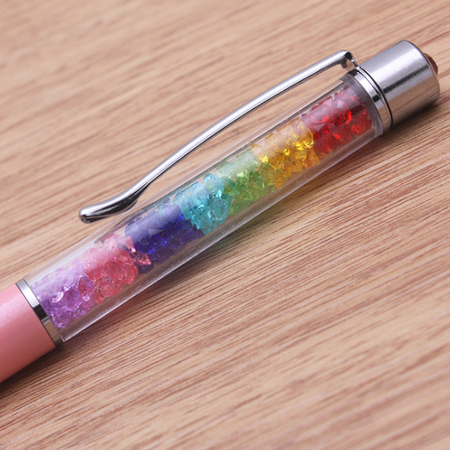 This crystal gift pen as a gift of the activities presented to consumers, equivalent to a current name to the consumer, corporate brands can reach a long-term publicity purposes, received an unexpected effect. 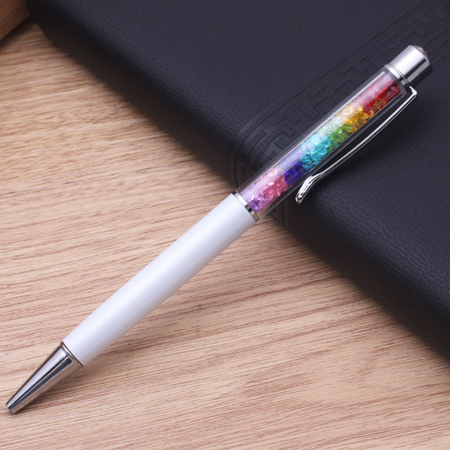 Printed promotional content crystal gift to targeted customers, it is bound in the hearts of the customers left a vivid specific impression and memory of the customer, the customer in the future a pen will be activated again so as to achieve the purpose of the deeply rooted. 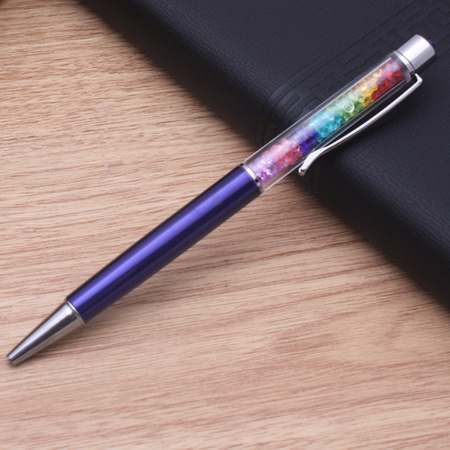 Select the SourceEC crystal gifts pen to bring the best publicity for your business.